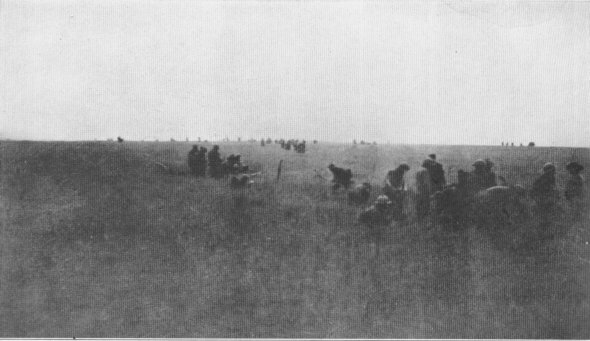 INTO THE VALLEY OF ADVENTURESkirmish line of the 103rd Infantry, 26th Div., advancing toward Torcy, 4 A.M., July 18. 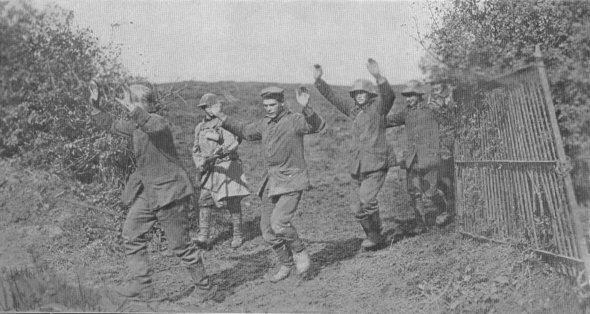 American troops, numbering 85,000, were fighting the Second battle of the Marne, and the offensive was now passing into Allied hands. KAMERAD!Over 1,500 Germans realized their ambition to reach Paris during the Friedensturm, but they went as prisoners of war. A year after our entry into the war, 250,000 American troops were in France. Now, 10,000 are arriving daily.